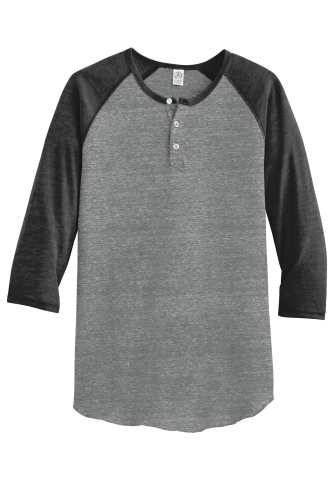 Retro never goes out of style with this best-selling 3/4-sleeve henley. 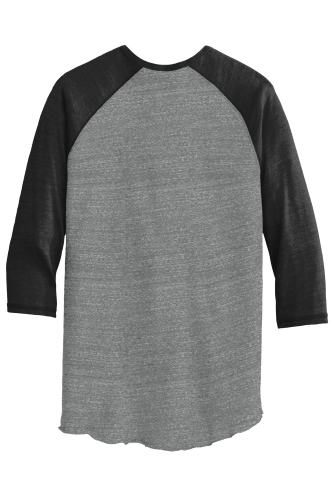 Features a slightly rounded hem and contrast sleeves and placket. 4.13-ounce, 50/38/12 poly/cotton/rayon, 3-button placket, Raglan sleeves, Slight shirttail hem.